"My name is Livnat Hai-Choron and I brought my newborn to Phyllis Gordon because he failed two hearing tests. First hearing test took place when my son was two days old, he failed the test on the left ear. Second hearing test took place when my son was three weeks old and again he failed the test on the left ear. The Audiologist said there could be trapped amniotic fluid in the ears. At that point I decided not to wait for miracles and simply go to Phyllis, who also resolved my daughter's colic and acid reflux issues when she was four months old. When my son was four weeks old I took him to Phyllis. During the same treatment we both clearly heard fluid going down my son's tiny body from the face area to the bladder area. We saw Phyllis again a week later, when my son was five weeks old. She did another treatment on him. By the end of the second treatment his face completely changed. It turned very symmetrical, as I have noticed in before treatment and post treatment photos Phyllis and I took. The next morning my son had his third hearing test. My son passed the test on both ears and that was the end of this ordeal. Thank you Phyllis Gordon from sparing my son from continuous, more intervening hearing tests." "Phyllis has gifted hands and great insight into her patients. She is skilled in a wide ranger of manual therapy techniques and is able to titrate her treatment to the unique needs of each patient." "I have had neck and upper back pain since being in a car accident when I was 6, and craniosacral therapy was the most effective pain management therapy I found. “I have been a patient of Phyllis' for over 15 years.She is unlike any practitioner I have seen.She is an extremely knowledgeable and intuitive therapist.She works very quietly and methodically to figure your body out. "I suffered a severe brain injury and was fortunate to have Phyllis treat my symptoms with brain curriculum and cranial sacral techniques.I have known Phyllis to be an extremely caring, compassionate and thoughtful person. "Our family has been treated by Phyllis for a variety of reasons, from mild traumatic brain injury, to TMJ, to herniated disks, to anxiety.During our search for improving our well-being with these issues, we had finally found success with Phyllis, and balance has been restored in our lives. 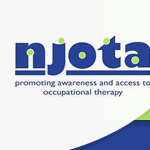 "As an Occupational Therapist who has had training in a variety of manual therapy approaches, I can say with confidence that Phyllis Gordon has remarkable skills.Part of my initial impetus to seek some of that training was the experience of seeing Phyllis do a demonstration of craniosacral treatment at a program sponsored by the NJ Occupational Therapy Association. "A career in advertising has taught me to take testimonials with more than a grain of salt. Call me skeptical or narrow minded, I know nothing about cranial sacral therapy and don't believe in healers. "I began therapy in the hope of resolving my TMJ and pelvic discomfort.Phyllis amazed me by knowing exactly where my body was structurally imbalanced as well as the stressors in my life that were contributing to these imbalances. “After many years of severe episodic tinnitus and vertigo, I was depleted from struggling to get through the day and anxious that I would have another debilitating episode.With the treatment I received from Phyllis, my symptoms have been substantially relieved. “I suffer from weakness, a loss of muscle tone, and decreased range of motion in my leg as a result of degenerative disc disease, severely limiting my normal activities.Phyllis assessed the problem and developed a treatment plan that dramatically improved my symptoms and allowed me to return to a more secure and active lifestyle.